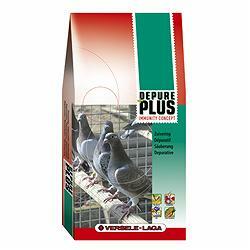 Complete food for pigeons enriched with the special Immunity Concept diet pellet (incl. fresh vegetables and herbs). As a result Depure Plus I.C. has a plus value compared to ordinary purification mixtures.